principles were cast aside as industries were modernised, a revival is taking place. Examples of craft revival are visible in many sectors, ranging from butchering to textile production, but one of the most illustrative examples comes from the booming craft beer sector. But these craft change-makers face challenges. The main issue for any incipient craft movement is to shake off the idea that craft is an outdated mode of production, strictly adhering to historic methods and recipes. Great article.The way of the future. Labour intensive. As you so rightly point out AUTHENTIC. You miss the point. The article explains that consumers want authenticity, but that this is easily faked. How do you fake authenticity? Actually, our brewery’s stainless steel equipment was fabricated in the local town by people who will in turn spend their money locally. This is probably true of many small breweries, since steel fabrication is a trade that serves many sectors and it’s harder to transport a large vessel than it is the sheet steel it is made from. We don’t use bottles at all because we only sell to pubs, supporting our community. And we’ve been doing this since 1985. We did have a blacksmith and farrier working from the brewery yard until recently who served nearby equestrians (our brewery building was purpose built in 1833, so it has stables and a forge to aid beer delivery by horse) but steel fabrication requires a welder. That said, I’m sympathetic to your scepticism surrounding areas of this new ‘Craft’ movement. A traditional floor maltings (where the germinating barley is carefully raked on a floor,, a labour intensive process) has closed for business because most of these ‘craft’ breweries use drum-malted barley at half the price. It can make you feel that ‘craft’ just means making a job for yourself whilst using industrially produced ingredients - and so some small breweries can be as guilty of ‘craft washing’ as larger corporations. I also didn’t quite get how corporations could incorporate these values into their activities - craft beer presumably has no longer a shelf-life than mass produced beer. I doubt if corporate executives in major brewing companies have much interest in their product as long as it sells, but they do have a strong sense of new profitable markets which is why they are keen to acquire larger craft outfits. The outcome is much the same. 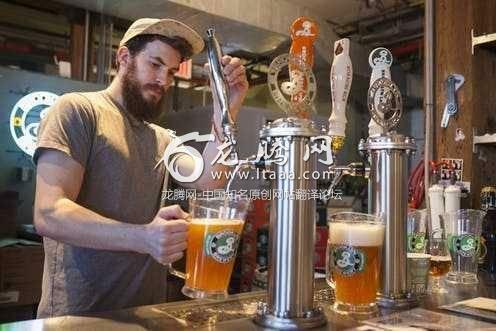 craft brewing may be more sustainable. When referring to the positive impact of craft brewing we mean locally produced and consumed beer with local inputs. The point of our article is that we think it is impact does not have to be marginal if we think more seriously about it. Integrating these principles in our corporations would be important but is challenging. There are some promising examples, like Patagonia that we referred to above.